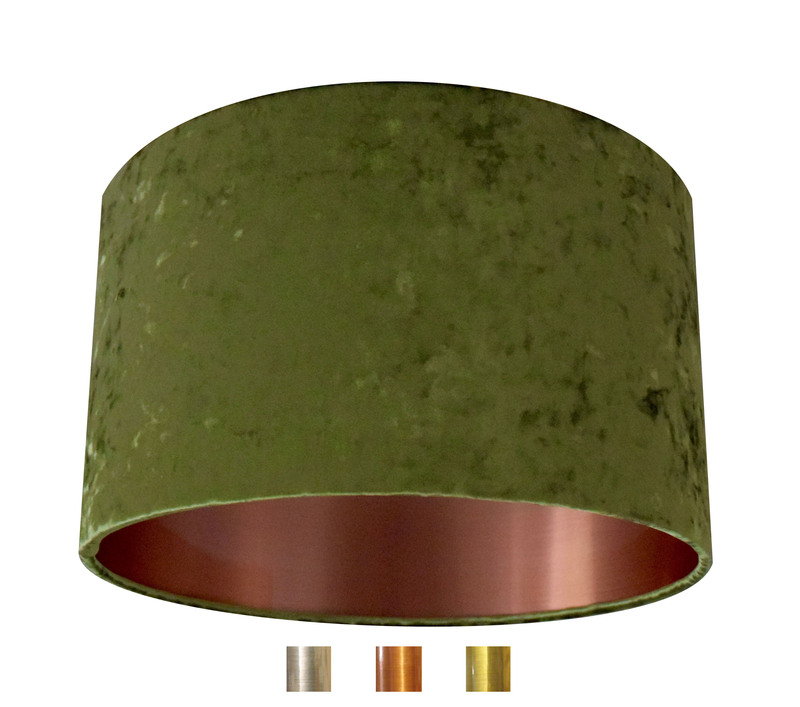 This lampshade is handmade to order. 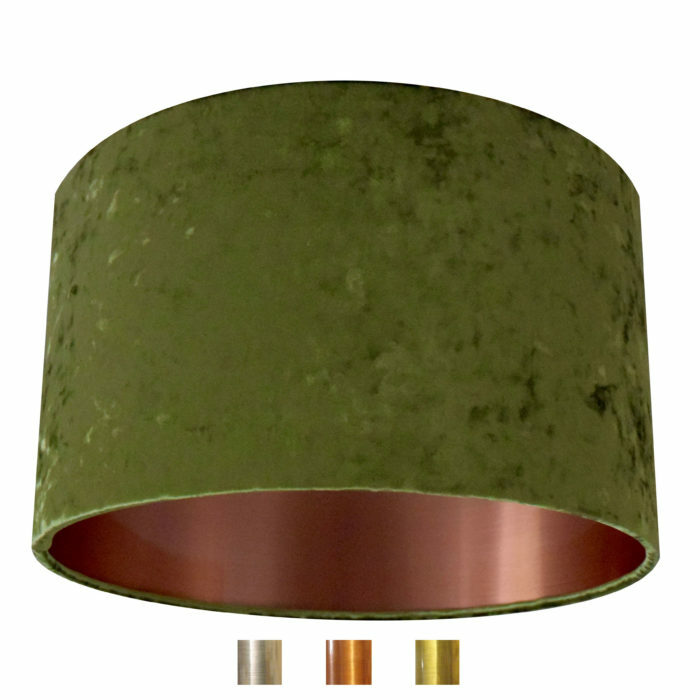 Fern green crushed velvet with a brushed copper effect lining. The pattern continues right around the lampshade and top and bottom edges are hand rolled so that the pattern continues beyond the edge.